Bandai recently revealed the official image and the release date of the 1:1 scale, adult-sized, Complete Selection Modification Accel Driver. 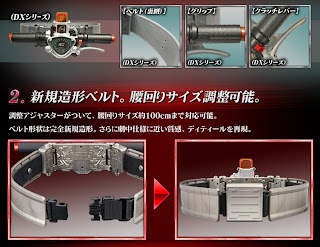 This represents the transformation belt of Kamen Rider Accel from the show Kamen Rider W.
First spotted during the C3 Hobby Show event, difference between this and the DX version is that the belt is made from leather, the clutch lever is on die cast metal and has a rubber grip for the throttle. It fits waist lines from 70 to100cm. 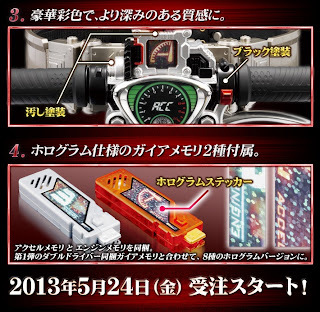 This will be sold as a Toei Hero Net exclusive and will open its pre-orders simultaneously in Japan, South Korea, Taiwan and Hong Kong on May 24. 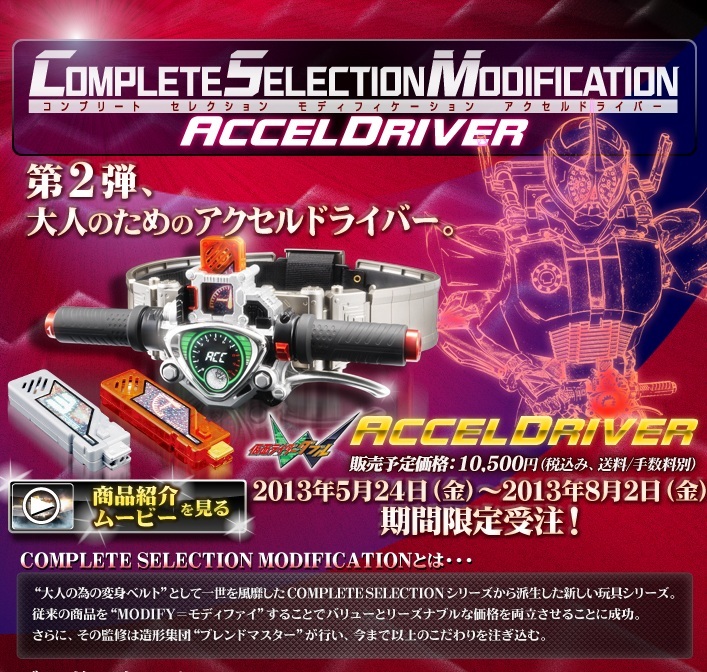 Complete Selection Modification Accel Driver will include the Accel and Engine Memory using hologram stickers. 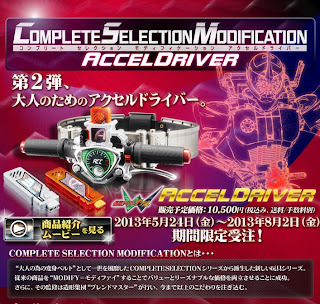 Complete Selection Modification Accel Driver will be released in November at 10,500 yen.